Nassau County Executive Edward P. Mangano today announced that Disco Unlimited and Dark Lady, a Cher Tribute, will perform at Eisenhower Park’s Harry Chapin Lakeside Theatre in East Meadow on Saturday, July 11th. East Meadow, NY - July 7, 2015 - Nassau County Executive Edward P. Mangano today announced that Disco Unlimited and Dark Lady, a Cher Tribute, will perform at Eisenhower Park’s Harry Chapin Lakeside Theatre in East Meadow on Saturday, July 11th. The show will begin at 7:30 p.m.; admission is free. Capturing a time in music that to this day has not been matched, Disco Unlimited will exhilarate you with their powerful vocals, tight harmonies and dance grooves all coupled with a synchronized stage and light show that will turn any venue into a concert level production and the best of disco nights. With Disco Unlimited you are getting a live, artist quality performance at every show. Close your eyes and you will truly believe you are listening to the original artists. Disco Unlimited is a group of 6 unique and experienced musicians fully equipped to meet your live entertainment needs. Entertaining audiences of all ages, Cher’s timeless music has been mesmerizing fans since the 1960’s. Dark Lady brings this true Diva to life right in front of your eyes. The band delivers an impeccable sound and presence, while Lisa commands the stage with grace and energy. Dark Lady presents a striking tribute to one of the greatest performers of all time creating a truly memorable experience for all. Eisenhower Park is located in East Meadow, with entrances on Hempstead Turnpike and Merrick Avenue. As one of the largest public spaces in the New York metropolitan area, Eisenhower Park offers a full range of athletic and family activities, including one of the finest swimming facilities in the U.S., three world-class golf courses, dozens of athletic fields and courts, picnic areas, playgrounds, fitness trails and more. 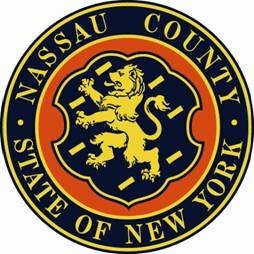 For further information, contact the Parks Public Information Office at: (516) 572-0200 or visit the Nassau County Parks, Recreation and Museums website. 4th of July Wash Out Fun - Make the Most Out of the Rainy Holiday! Subject: LongIsland.com - Your Name sent you Article details of "Mangano Welcomes Disco Unlimited And Dark Lady To Lakeside Theatre On Saturday, July 11th"